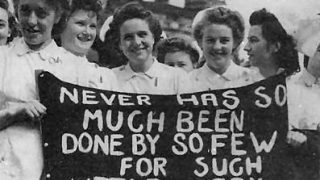 It’s that lovely time of year when we shout about all the reasons we love being a member of a union. 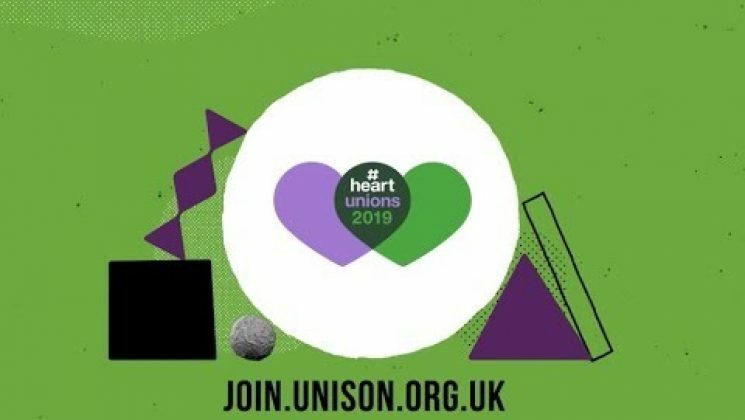 The buzz, online visibility and workplace activity generated by the annual #HeartUnions event is the perfect opportunity to pluck up the courage to chat to someone about joining UNISON. *when you go through to the Online Catalogue there is an entire section for heart materials, which you can download and use digitally or order if you need physical copies. And make sure you post on social media using the hashtags #HeartUnions and #HeartUNISON. Use the opportunity to shout about the great stuff we do. We do so much for the various professions and sectors we represent. 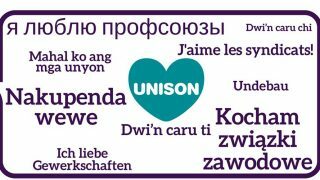 Below are just a few of our targeted campaigns you could use to make sure your colleagues know we’re the right union for them. Care worker? We are fighting hard for you. On sleep-ins, travel time and in Birmingham. Tell other carers about us. Council staff? We’re fighting back against cuts and winning MPs support. Tell your colleagues we can’t do it without them. NHS staff? The One Team campaign gives NHS support staff the recognition they deserve. Tell people about it.